A couple of weeks ago we read with great interest an article in USA Today about a show opening on Broadway. New productions debut on a regular basis in the New York theater community, but rarely do these events occasion coverage in mainstream media. 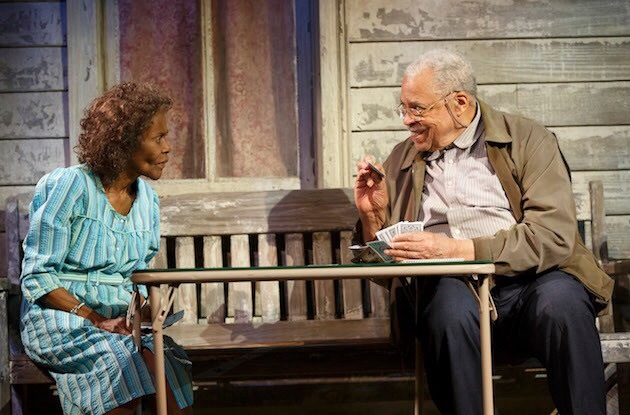 What propelled the news of The Gin Game's opening into the wider world was the identity of its stars: James Earl Jones, age 84, and Cicely Tyson, 90, two acting legends whose combined collection of awards would fill a room or two. 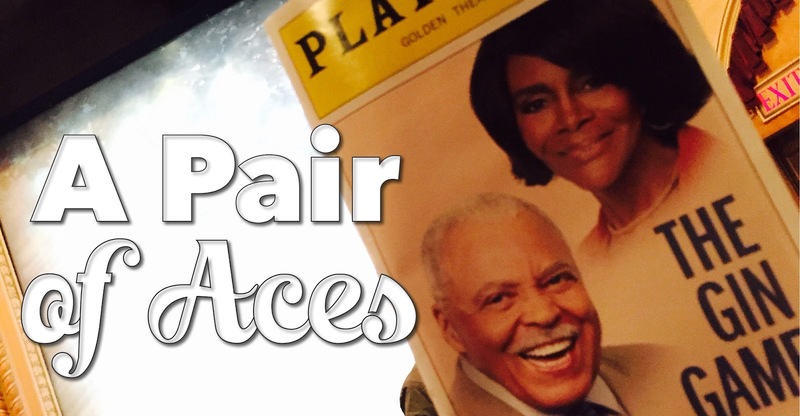 The opportunity to see these two theater icons on the same stage was all the encouragement we needed to start thinking about a short trip to New York. When we realized we hadn't spent any time in the city—just the two of us—in more than six years, the decision was obvious. Soon we had a plan: eight days in the Big Apple to take in some theater, which we hoped would include the play that inspired the trip, a bit of urban letterboxing, and checking out some sights we haven't seen in previous trips. Delta was happy to provide transport—for a slightly more than nominal fee—and deposited us at Laguardia around noon today. 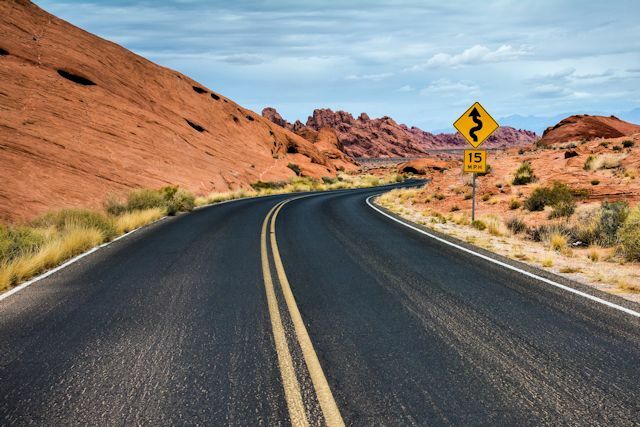 As we've managed to do on a couple of other occasions this year, we again arrived in the downtown area of a major city on a day riddled with waves of street closings for the annual marathon. Coming off the Queensboro bridge into Manhattan, we had a great marathon vantage point as we crossed over 1st Avenue. 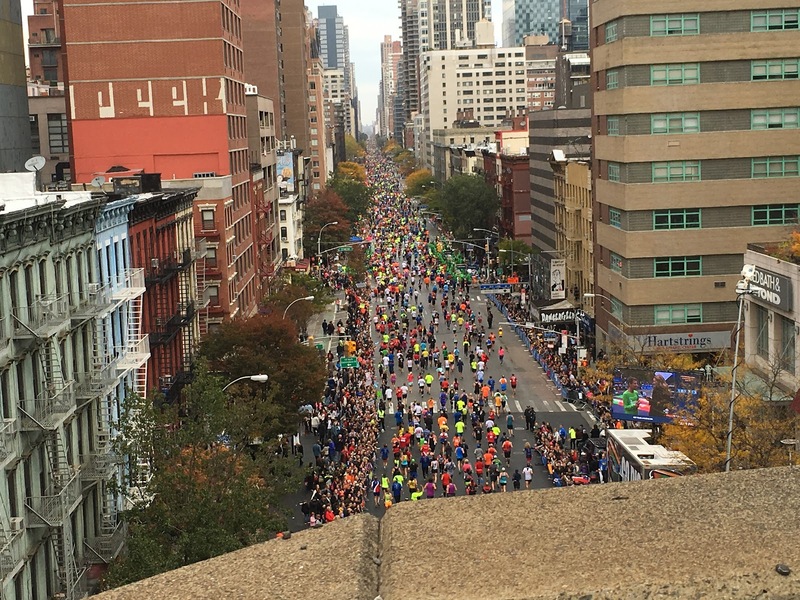 More than 50,000 ran through the five boroughs today. A little luck and a savvy driver got us to our Times Square hotel just after 1 p.m. We were delighted when Lady Luck decided to hang with us a while and nudged the Doubletree desk clerk to assign us a room that was available for early check in. After depositing our bags in our 35th floor suite, we walked across the street to the TKTS discount ticket booth. Our good luck fairy was working overtime by this point, as we scored tickets to the 3:00 matinee of The Gin Game. We even had time to grab some lunch first at Crossroads inside the Marriott Marquis. If high expectations bring a certain degree of risk along with them, we had set ourselves up for a possible free fall as we entered the full theater. It should come as no surprise that Ms. Tyson and Mr. Jones did not disappoint. And it certainly was not because of the material they were given. Though it won a Pulitzer Prize during what critics have called a very lean year of theater, The Gin Game isn't much of a play. It depicts a series of interactions and a developing relationship between two lonely residents of a run-down nursing home, as he teaches her to play gin rummy and proves unable to win a game against her. While they play cards, they occasionally share insight into the lives they led before arriving at this juncture. Though there is very little in the way of plot, these two masters unveiled the layers of their characters' depths as they peeled back the loneliness that so often strikes at this stage of life. By the end of the two-hour performance (with one intermission), the appreciative audience, many of whom were as awestruck as we by these brilliant stars, leapt to their feet for a prolonged standing ovation. Tomorrow we'll head down to Battery Park at Manhattan's southern tip and move north as we work our way through the list of letterboxes and sights on our list.